Wafer-thin, pierced disks dangle from ROMA`s long golden chain. Wear it doubled, layered in multiples, and stacked with other necklaces. Light-as-air ROMA earrings are destined to be your golden go-to earring choice. 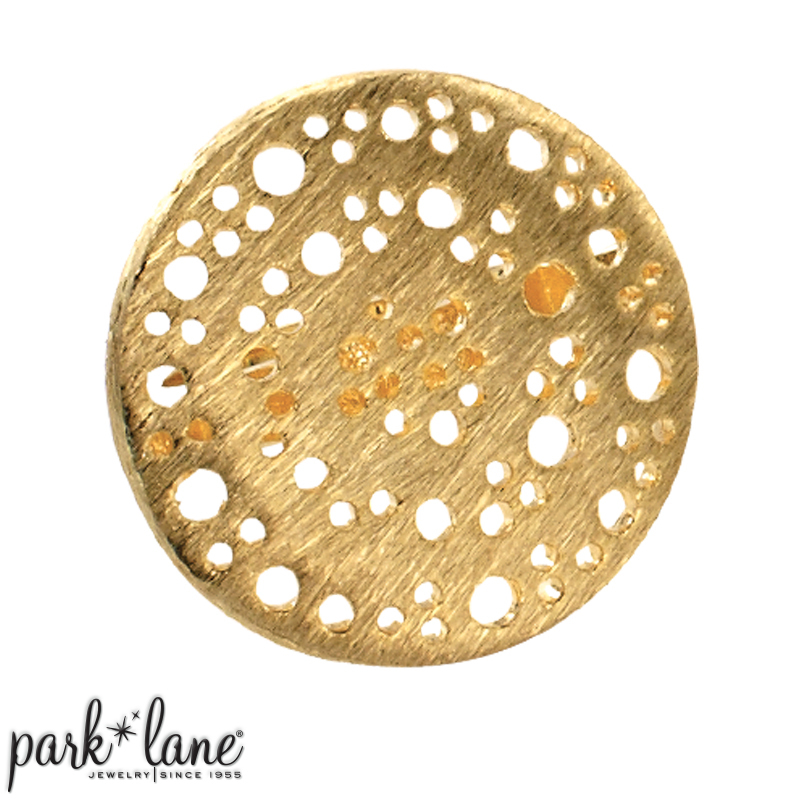 The brushed-finish, perforated disk of ROMA ring commands attention! Layering options: Ocean Treasure, Feather, Wings, Boca, Garden Party, Euro Rings: A la Mode, Modern-G, Gardinia, Boca, Modern-G, Euro Bracelets: A la Mode, Attraction-G, Flair-G Ensemble combinations: Try mixed with Venice ensemble.